CHOREOsmove is here quite impressive proof that the elementary togetherness of these two levels has become fashionable again - gentle rhythms in conjunction with soft, flowing movements to rich beats that provide the basis for appropriate training, are now available in our repertoire. The special thing about dancing is the physical effort associated with simultaneous coordination, concentration and balance training and the attendant social aspect. 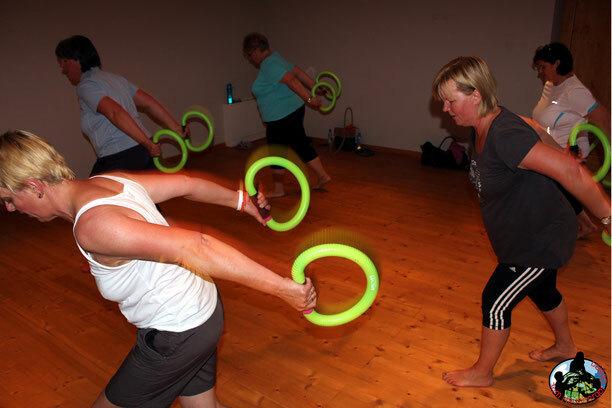 In our courses different exercises from the smoveyMOTION-Program are moved to the music and associated in light dance choreography, which are implemented with fun for everyone. Thus, the customers come not only at their own pace in their physical strength, but also support so playful dancing several areas in the body - by strengthening coordination over to relax and loosen. If you want to sign up for this course, please contact Tine Hausberger via email smovey@haus-illmau.de or via phone +49 (0)160 94741011.